How to make distortion in Unity + Shader forge? Hello Everyone!! Distortion is the thing that I can`t really understand. I hope you will help and tell me how it works in Unity or generally, preferably with examples of different techniques. What do you intend to do with that Distortion? Do you want to emit distorted particles or do you have something else in mind? You could start using the Standard Particle Shader for those. It’s been introduced to Unity in 2017.1 (or .2 not sure anymore). 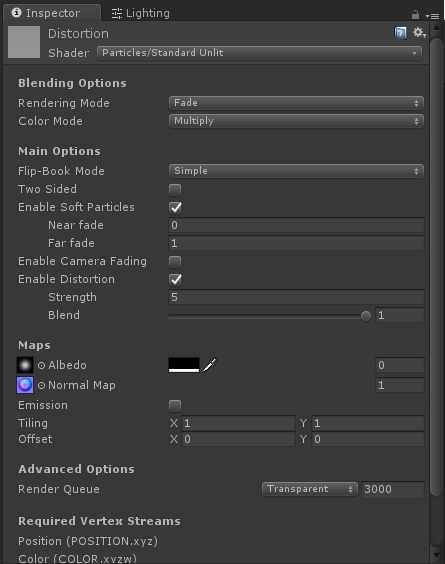 It’s under Particles/Standard Unlit and has a checkbox where you can enable Distortion. All you need is a Normal Map for it. Man, you save my life))) Thank you so much!!! Kind of a necro (sorry), but I’m wondering if anyone could point me in the right direction to create my own distortion shader with Unity’s Shader Graph. 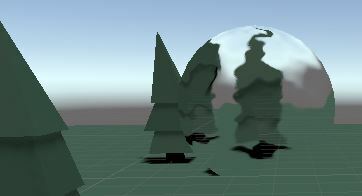 Or any kind of info as to how distortion works, I’m very new to shaders in general. In unity’s shader graph, distortion works by grabbing a render pass and affecting the UVs. There’s a built in pass that the shader graph can access by default called the “_CameraOpaqueTexture” that grabs everything that’s not transparent. To grab this pass, you create a 2D texture that references the exact name of the pass. Then just plug that into a sample texture node. The unity evangelist who created this repo, Andy Touch, is always posting really nifty examples of what can be done with the shader graph. Taking a look at his work will really speed you along on trying to learn shader graph stuff. 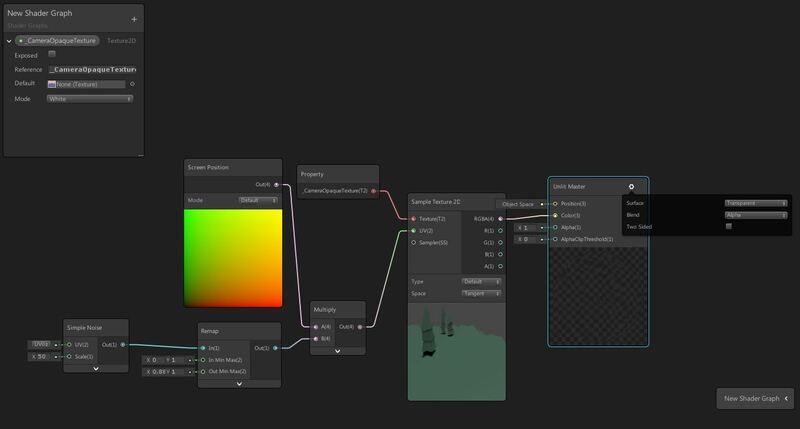 I’ve seen his shader graph examples, I’ve totally missed the scriptable render pass ones though!